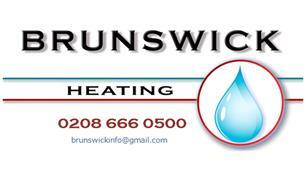 Brunswick Heating Ltd - Central Heating Engineer, Plumber based in South Croydon, Greater London. If you are suffering with these of other household plumbing/heating problems and require them PERMANENTLY fixed. If you are experiencing problems with your boiler, heating or hot and cold water system and want a correct diagnosis and fix, then contact us. We value our customers and endeavour to offer totally professional advice and ongoing support. ^Free Survey and Quotation (**** see our current 100% record !!! **** of not claiming additional charges on top of already quoted prices ). Our experienced Gas Safe Registered Engineers comply to Gas and Building Industry Standards & Regulations, ensuring that work is completed professionally and to the correct level of safety and reliability, with the addition of Manufacturer's and Brunswick Heating's guarantees. Please do not hesitate to contact us with enquiries or for advice. No set call out charge* for 'call outs' or 'breakdowns' , we only charge for the time spent on investigation and carrying out the work - minimum 1 hour standard charge.